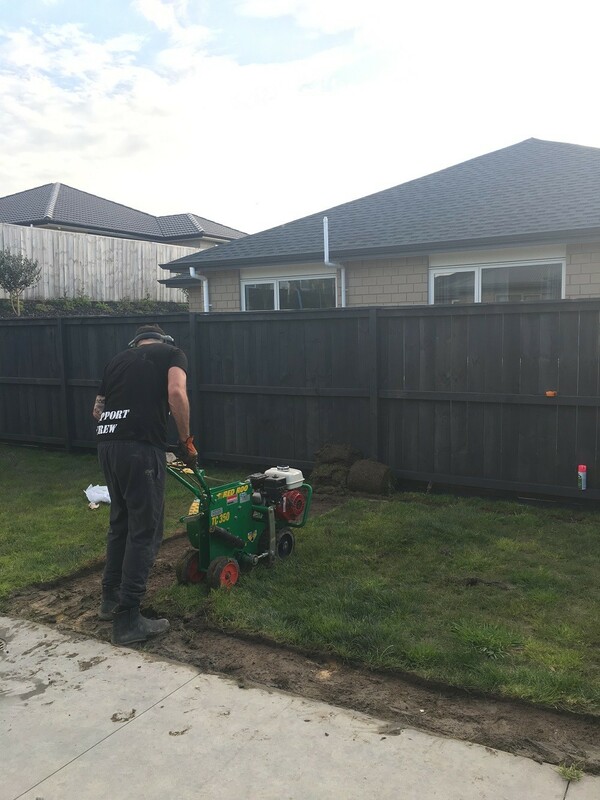 It was only with the delivery date locked in that the Auckland couple realised that installation was going to be a little more complicated than they had envisaged. “We had planned to put it on our concrete patio,” Kimberley explains. Enter Plan B. They would have to construct a level base for the spa. 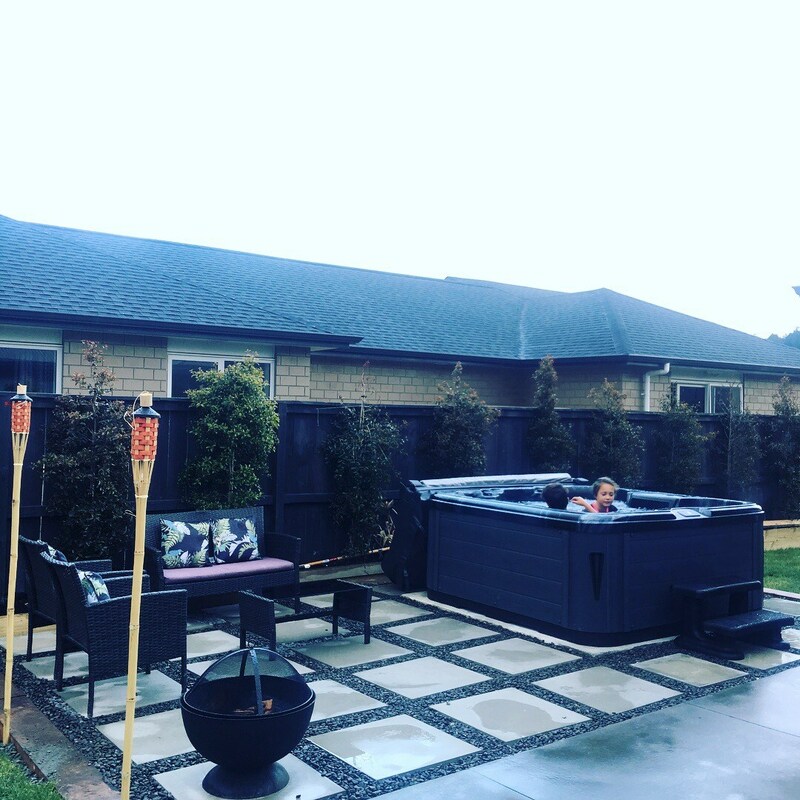 It had to be close to the house so the spa could be hard-wired, blend in with their existing patio, and be simple and cost-effective. As keen DIYers, these two Kennards Hire team members wanted to do it themselves. With the spa due to be delivered the following week, the pressure was on. Kimberley found a design she liked on Pinterest, incorporating a concrete slab for the spa, surrounded by pebbles, pavers and big sleepers. Richard drew up the plans. “We’d done a few projects at this property but this was the biggest,” he says. The first step was to get the tools they needed. Kimberley and Richard both work for the Kennards Hire support office. They headed to the Henderson branch where they picked up a turf lifter, wheelbarrow, small compactor and concrete mixer. And of course, for no extra, they received a bucket-load of good advice from the Kennards Hire staff about how to approach the project! 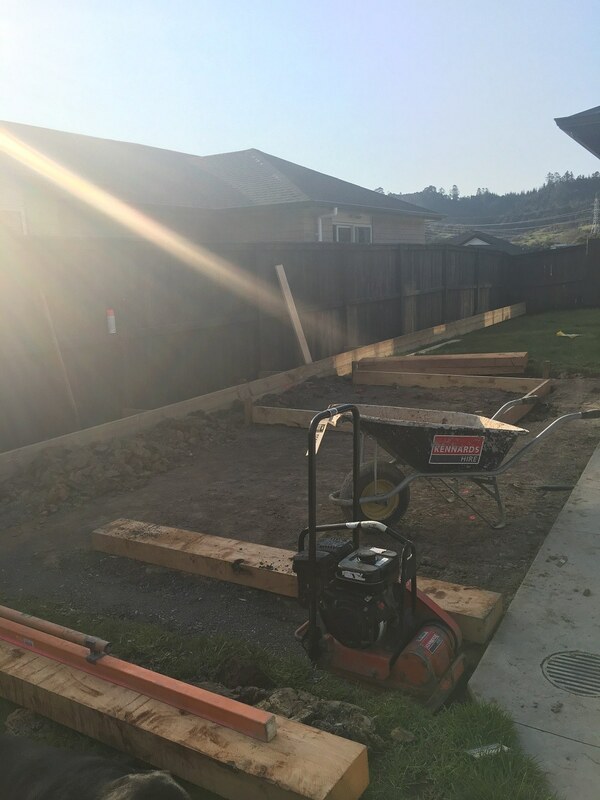 Richard says the hardest parts of the job were getting the base level and estimating how much material – aggregate and concrete – was required. Richard finished off levelling in the dark. The next day, when the concrete was dry, they brought out the spirit level to see how they had done. Bingo! Whichever way they put the level, the bubble was in the middle. “We felt very proud,” Kimberley says. The project was finished in October, when the nights were still cool, and it got plenty of use. The couple’s three young children – Kiera, 10, Ricco, 8, Brody, 4 – love it. “After a busy day at work, the spa is magic,” Kimberley says. She says doing the work themselves gave them an extra sense of satisfaction. All from Kennards Hire, naturally!